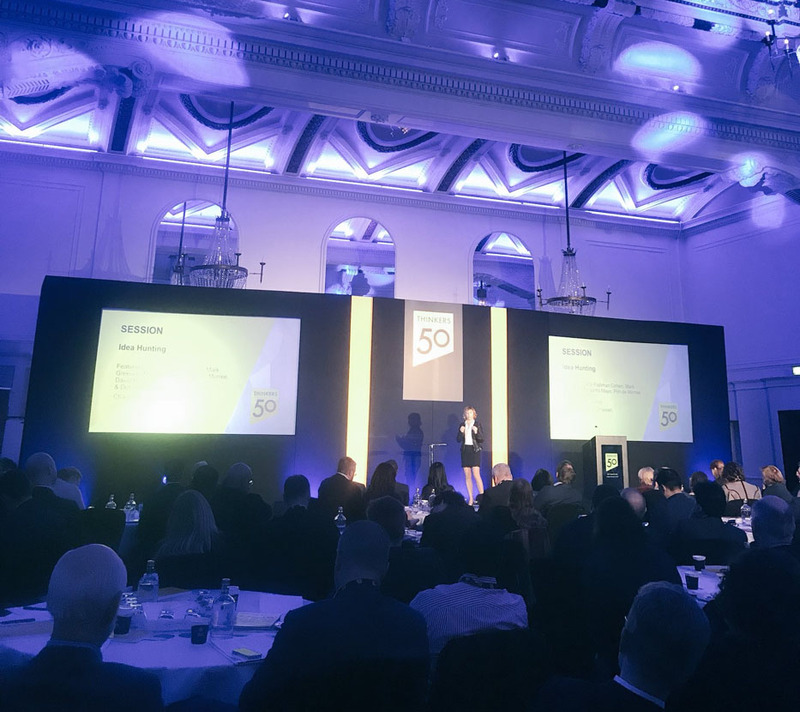 I am very honored to have been shortlisted for the 2017 Leadership Award by #Thinkers50! My congratulations to the winner –Hal Gregersen from the MIT Leadership Center; and to all runners up Angela Duckworth, Sydney Finkelstein, Heidi Gardner, John Mattone, Karl Moore, and Simon Sinek. It was also lovely to share stage with the Thinkers from the Idea Hunting session chaired by Erica Dhawan: Carol Fishman Cohen, Mark Greeven, Pim de Morree, David Robertson & Deborah Rowland. And it was a privilege to listen to Tom Peters’ speech as the recipient of the Life Long Achievement Award. His message was clear and energetic: people matter, even more so in today’s digital world. In my own Thinkers50 talk, I asked what is the most important challenge business leaders face today. Yes! Artificial intelligence, big data, fierce competition and political instability are top of mind. But, the real challenge is the crisis of confidence in our leaders. My key idea is that authenticity in leadership is the antidote to this crisis. Let me give you some data, from the Trust Barometer survey: only 37% of people trust business leaders. And when it comes to government officials, the statistics are even worse, only 29% of people trust political leaders. Take what’s happening in Catalonia right now. It is crisis of leadership that’s responsible for social and political conflict in Spain. A lack of authenticity lies near the heart of this crisis in leadership. Why is this important? Leadership is about trust. And trust is the currency of influence. If we want to implement change in our organizations, we need to earn the trust and respect of our subordinates, peers and bosses. My job is to understand why this crisis of confidence in leadership and help leaders become more authentic!! This has been my quest for 20 years. The way the world is today, we tend to see leaders as superheroes. We put up with big egos when, in fact, humble people make better leaders. We need a radical change in the kind of leadership we value. Authentic leaders are happier and their happiness and passion is contagious. Authentic leaders have better relationships with others; they build trust and confidence. Authentic leaders create healthy and productive environments. When I was 24, the best thing happened to me. I won a Fulbright scholarship to study psychology and business at Harvard. Excited about my new life, I packed my favorite clothes, the ones that I felt most represented “me.” Slim fitting jeans. Miniskirts. A black leather jacket. This was the 90s, mind you. But, that very first day on campus in Boston, I knew right away that I was not the right fit. This is a simple story but it illustrates how we all experience the struggle between being ourselves and fitting in. Being authentic means resolving some tensions and paradoxes. Being authentic is not easy. Because to be honest with you, in Boston, I was soon wearing flannel shirts and fleece jackets. So, how do we become and stay authentic? To find out, I’ve been studying people I consider “authentic.” And some of the most authentic leaders are often people no one has heard of. They have something in common though. They all: (1) Follow their HEART, (2) Make learning a HABIT, and (3) Find HARMONY between themselves and others. These are my 3Hs -heart, habit and harmony dimensions of authenticity, which offer a practical roadmap to stay authentic in leadership and life. 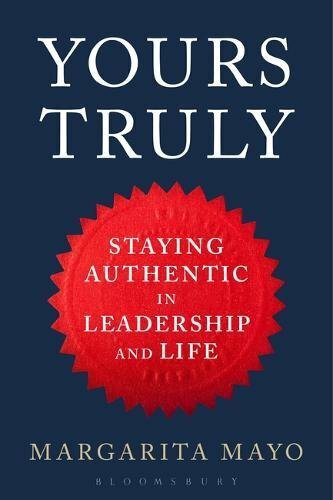 For the book, I interviewed authentic leaders from around the world and have brought their stories together, with more than 20 years of research. Let me tell you one story, about Hiroko Samejima. She’s the founder of andu amet in Japan. She was a designer but quit to follow her heart and start her own company focused on slow fashion. In the process, she had to learn – and she told me it was an incredibly humbling and often difficult experience – how to manage employees, manufacturing processes, even legal issue. And one more thing, her employees in Japan were volunteers – they still are – because they believe in Hiroko’s vision and in the ethical principles of slow fashion. There are many inspiring stories like Hiroko’s in the book. In addition, I’ve included assessment tools and a guide with practical steps. Writing Yours Truly has been an exercise of self-awareness and -discovery, a journey to my own authenticity. My hope is that it will encourage others. 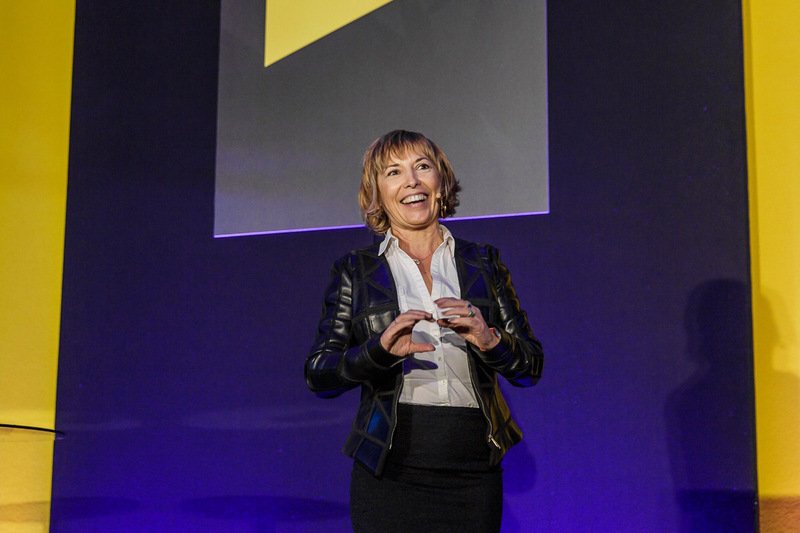 Thank you Thinkers50 for an incredible conference and a lovely Oscar-award night. 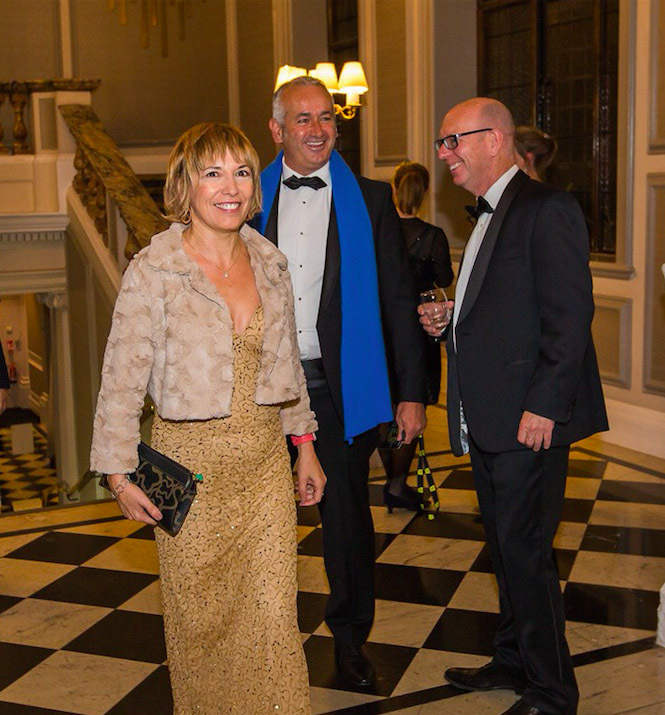 Entering the gala with my friend and winner of the Ideas-Into-Practice Award –Antonio Nieto-Rodriguez and co-founder Thinkers50 -Stuart Crainer was just the beginning. Dinner with my IE colleagues was a great end to an exciting day.